A story about Metro’s plans to eventually remove about 135 trees along Wilshire Boulevard as part of the construction of the first phase of the Purple Line Extension. Here’s our post about the plan that includes this key detail: Metro also plans to plant two trees for every one that is removed. Still, some community members in the Miracle Mile aren’t happy, pointing to many years of effort to beautify Wilshire Boulevard and unhappy that adult trees may be replaced with younger, smaller ones. The bridge once carried Pacific Electric streetcars over the intersection of Huntington and Mission. City of Los Angeles officials don’t think the 80-year-old structure is very distinctive architecturally; others think otherwise. My three cents: to my eyes the bridge doesn’t look much different than other highway-type bridges. Women who aren’t bound to the bus by economic necessity cite reliability and convenience as reasons they choose to stick with their cars. That’s more or less what men say. But women, regardless of income, tend to have an additional factor: safety. In a 2007 survey, 63 percent of New York City subway riders said they’d been harassed on a train, and 10 percent reported having been assaulted. It seems safe to assume that most of those riders were women. Among those who merely witnessed harassment or assault on public transit, 93 percent reported that the victim was female. It’s no wonder there’s a gender gap when it comes to transit riders’ concerns. But there’s also a gender-class gap, between the women who can simply refuse to ride because of those concerns and those who have to get on the bus anyway. “Women tend to be more fearful in public environments like the bus stop than when they’re on the bus or on the train,” says Loukaitou-Sideris. This makes sense: on the bus there are often other travelers, but at the bus stop you might be alone. Even then there are exceptions; late at night, a woman might find herself on the train with only one other passenger she doesn’t trust, just the two of them in an enclosed space. The writer lives in our area and says that while she is willing to ride Metro during the day, she’s much less apt to take the agency’s transit at night when there are far fewer riders on many routes and a greater chance of her being isolated with other riders she doesn’t trust. Your thoughts, women riders? On March 10, 2014 the American Public Transportation Association (APTA) reported that public transportation use in the United States in 2013 rose to 10.7 billion trips – the highest number in 57 years. APTA and its predecessor organizations have collected ridership information since 1917. The highest U.S. public transit ridership number in history was 23.5 billion trips in 1946, a decade when many Americans did not own a car. The ownership of cars en masse came later and led to suburbs designed for car use and subsequent sprawl. This ridership increase isn’t a one-year blip on the radar. If you look at the 18 year period from 1995-2013, public transportation ridership grew 37.2 percent, almost double the amount of the population growth at 20.3 percent. This is a long-term trend that shows that more and more Americans are using public transportation. APTA has used the 1995 number because after that year, ridership increased due to the passage of the landmark ISTEA legislation and other surface transportation bills which increased funding for public transportation. More recent shifts in trends point to the growing demand for public transportation. Our analysis shows that the 2005 gas price shock, when prices first went to $3 for a gallon of gasoline, combined with demographic shifts including the Millennials’ desire for travel options and the Baby Boomers’ return to urban areas, have established consistent travel behaviors that led to the highest public transportation ridership since 1956. My three cents: both sides have a point. I’ve never found quite understood the point of comparing contemporary transit ridership to that in the 1950s, when there were far fewer Americans. On the other hand, I do think it’s worth noting that in recent times transit ridership has been healthy in many quarters and worthy of further investment. From the Department of Reader Complaints…. I finally, and inevitably, received a complaint about the occasional postings of Bruce Springsteen videos — despite the fact that “Thunder Road” is at its core a song about the importance of mobility in escaping loser towns. In the spirit of diversity, today’s musical interlude is more transit specific…. Someone has a problem with The Boss? Hard to believe. More reason why rail stations should be openly available for retail vendors and merchants – public safety. One would feel much safer when there’s a 7-Eleven operating inside a rail station that when anyone feels an uncomfortable vibe at the station, they can go there to ask for immediate help to a 7-Eleven employee who will be there 24/7 at no cost to taxpayers. Compare that with the desolate train station today late at night. No business activity going, no one there to help you, police is minutes away when seconds count, you feel isolated and scared. 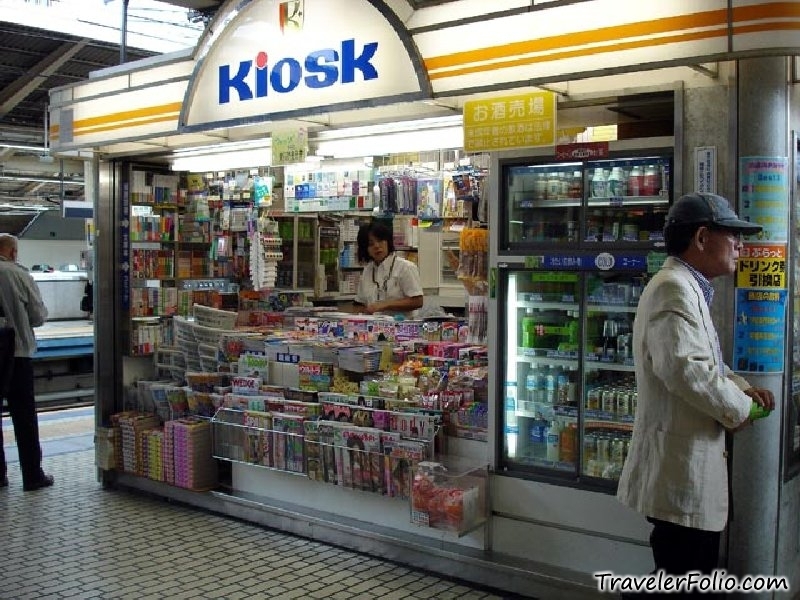 Put in a 7-Eleven or any number of companies that wishes to operate their business at a train station. Metro earns rent income that helps them gain additional income (no, it doesn’t cover everything but it helps bring in additional revenue), it creates jobs, helps the local economy, and creates a safer atmosphere. Why not do this instead of wasting precious money on art? The money you’re spending in installing artwork can be spent to add in a vendor space! Or even those island kiosks at the shopping mall would help! Re: Will women every feel completely safe on transit? If memory serves, when the Rapid lines were first being rolled out, one feature that was offered on the Rapids after dark (or 8pm? or 10pm?) was that riders had the option of making a special request for the driver stop between Rapid “stations” (as they used to be called), to cut down on the longer walk between the scheduled stops. I believe drivers were instructed to comply with these requests at their discretion, safety-wise. Stop wasting taxes: Some good points here. I’m not sure 7-Eleven would be the best fit to improve Metro safety, but a larger retail presence (even coffee carts!) makes sense no matter what. It’s good to see the Wetzel’s Pretezel at Metro Center’s Hope St portal, but that’s only a start. As for your anti-public art comments, I believe the money Metro spends on public art (only 1% of station construction money, BTW) comes from grants that can’t be used for other things, so if we cut out the public art, there would be no cost benefit and we’d have less attractive stations than we have now. The Metro system would be a lot safer if Metro did something about cleaning up some of our stations. Have you guys heard of the broken glass theory? Keeping these places reeking of urine, with litter all over and gang territory graffiti only attracts criminal activity. Why not just buy some pepper spray and carry it with you as when you need to use it? It’s like ten bucks at Big 5 Sporting Goods. Those who advocate the MTA bring in retailers to it’s rail stations must face some facts. Most of the Red Line Stations have developments above them which pay the MTA a healthy sum. Even if it was possible to put a 7-11 for instance down in one of the stations it would present a new problem. Food and drink are not allowed on the trains. How can the MTA justify a retail establishment selling food within a station then forbidding it’s consumption on the trains? But the larger problem is unless space is given up for passengers to walk to and from the trains there is no room for a business. The stations are down in a hole, you can’t just start digging horizontally in hopes the entire structure does not collapse. And how long would a station have to be closed to accommodate the construction? In short, nothing can be built within a subway station and light rail in most cases are just a island in the street, no room to build retail there. Reads like the Miracle Mile association is becoming another Beverly Hills. In the name of progress take a chill pill and let this project proceed. .
Metro doesn’t like the idea of adding vendors to stations because it would open up a Pandora’s Box of allowing people to eat and drink on Metro and they will lose control over the people. Why should Metro do this? They’re fine being part of the nanny state over the taxpaying public by telling them what they can or cannot do, like the stupid e-cig ban, how plastic bags are illegal, how dogs can’t mate in front of a church, how one cannot bathe two babies in the same tub at the same time, or how it’s against the law to set metal balloons into the air (WTF?). They’re more worried that once they let in 7-Eleven or CVS Pharmacy or McDonald’s into the stations, then people will start buying drinks and food and create a mess to Metro. Yet they fail to realize all the positives it will bring: like creating more jobs, helping the local economy, bringing in more revenue to Metro (that could actually help pay for janitors! ), and bring in more sales tax revenue to LA County from goods sold. Besides, you already have legal vendors like Famima operating at Union Station, what’s the problem? Expand the business program to every other station out there then! There are more positives than negatives, but apparently Metro feels that negatives far outweigh the positives. So basically, Europe and Asia is a lot open about free enterprise and business opportunities than Los Angeles. Figures why all the businesses are leaving LA. I ride the Blue Line daily to work from Long Beach to L.A. There are times I like to stay after work to attend screenings and events (I’m a staff member at a college campus). However, I don’t feel safe traveling alone after 9pm at night, so I have to give myself a cut off time. This means not being able to stay for the event in its entirety. I feel safest when a Metro officer is in the same train car as me, regardless of the time of day. Apparently you failed to read my entire post or you don’t understand it. I’ve been to Europe and yes they have businesses in their stations but they were designed that way. The subway stations here were built without stores included and retro fitting them are next to impossible. But as I recall subways in Europe or even in places like New York don’t have mixed use projects built above them which has resulted in revenue for the MTA. Most MTA light rail stations have no adjacent parking provided and are only islands in the street. Vending machines could be installed but that’s about it. One of the primary reasons the MTA and most other transit agencies disallow food and drink on their buses are cockroaches. I’m not sure how bad the problem is now but at one point it was so disgusting that buses were often taken off the line so they could be fumigated. Another problem is many passengers soiled seats with drinks and food. Passenger don’t want to sit in a spilled Coke. It’s also against the law to shoot rabbits off the end of streetcars on Hollywood Bl. The UK picture is at a main-line railway station (I understand that M symbol – remarkably like the LA one – might mislead, but it’s the name West Yorkshire county uses for all its public transit and that includes what would be operated by Metrolink in Southern California), so it’s a bit like the convenience store at Union Station. That said, you can eat and drink on all public transit (including alcohol, except in London – though it was even allowed there until a couple of years back) in the UK and believe me, it stinks. Stuck on a bus with five or six kids all eating a bag of ketchup-drenched fries and a couple of adults munching a burger and drinking yet another beer, isn’t a pleasant experience. There’s nowhere to leave rubbish, so customers regularly leave a not quite empty cup of coffee or coke or a bottle of beer on the floor ready for the movement of the train or bus to knock it over and leave a lovely wet mess. Whenever I travel to the US (I got back yesterday from two weeks in LA) I always appreciate that you can’t eat or drink on public transit (though some people were eating smelly food on the bus anyway). The most annoying thing about a great trip this time (and my weekly passes meant that I went everywhere on public transit including the Getty Villa and the Getty Center) was the long waits on the Expo Line at Vermont and Western Avenue traffic lights. (I used this line several times) Travelling to LAX on the 754 bus down Vermont to the Green Line on my last day, we arrived at the stop as the light went red and there was a train already waiting to cross Vermont. Yet we picked up passengers, waited again and the light turned back to green, letting us go before the waiting train. Surely it could be arranged so that the train could take priority at any point in the light-change cycle, letting it cross and then resuming where the traffic left off? Whenever I was on the train and it crossed Vermont or Western we waited for three or four minutes at both places, and then had to stop again because the platform was after the lights. Priority for light rail and street car at lights is common all over the world. Why not in LA? PS Being a great fan of this site and of LA in general, it was quite strange to look up at Mission Control whenever I was at Union Station (I used the trains too) and think of Steve taking his photos of the sunset! Explain to me how adding in a small scale store that resembles a newspaper stand like the ones Europe and Asia has is next to impossible to add in for LA Metro stations. You don’t need any new construction, shut down the entire station, or a drill hole in the wall and worry about the building falling down. It’s a kiosk. You know, like the island kiosks you see at shopping malls? Or have you not been to any shopping malls lately? It doesn’t even take up that much space. You could place it off to the side. And for elevated light rail stations, there’s so much under-utilized space below it. Who says stores have to be at the platforms? Metro could easily dedicate vendor spaces below it. Ever been to the Green Line Station at Crenshaw? Underneath that station is this empty concrete empty space. It’s basically an overpass for the Green Line and the 105 freeway. So much empty space there that could be used to add in vendor spaces there too. Or how about the Expo Line station at La Cienega/Jefferson. Don’t tell me one cannot add something like a mini Starbucks coffee cart stand there, if not at the platform, at least under the elevated station. I call it living in nanny state where big brother is constantly telling the taxpayers what they can or cannot do. Using Metro to commute is part of life. Some people have to eat, some people have to drink. Metro shouldn’t be banning something that people have to do to live. What’s next? You can’t breathe on Metro? Besides, eating and drinking is allowed on Amtrak, Metrolink, and on an airplane, why is disallowed on Metro? Is it because of market demographics? Is it because people who travel on Amtrak, Metrolink, and on airplanes are likely to be more “civilized” than Metro riders? Is it because the ban on eating and drinking is based on market demographics that those who ride Metro are likely to be poor, and poor people are more likely to have no civil manners? Now I’ve been to many cities across the US, Europe and Asia and ridden many transit systems. From my own experience, not just looking at US solely, not just looking at Europe solely, not just looking at Asia solely, but from a transit riders’ perspective by comparing and contrasting hwo transit works on all three different continents, Los Angeles Metro has the least amount of freedom in terms of business prospects and in terms of riders’ experience. No food, no drinks, no restrooms, no business activity allowed, no station personnel, no security, filthy, etc. etc. You now how sad LA Metro is? I’ve had a lot better experience riding the Bangkok Metro than LA Metro. That’s how sorry LA Metro is. Bangkok actually has a direct train from their airport to the city. Bangkok trains are more cleaner and more pro-business than LA Metro. The Bangkok Metro fare structure (pay-by-the-distance) is more fairer than LA Metro (flat rate). The more you visit the world, the more you open your eyes, you wake up and start to see that LA is becoming a third world country. You don’t seem to understand the dynamics of even installing these small kiosks. A Starbucks would be out of the question since drinks and food are not allowed on trains and buses. News paper stands are a thing of the past. Look around, those that are still in business have reduced their selling space. But lets say Starbucks or another retail food vender was allowed. .Without disruption to the station how would they receive electric power, water and sewage? The same would present problems with light rail at most locations. Busy subway stations already are crowded with passengers rushing towards the gates and away from them. What your advocating may provide some revenue but at the price of safety and convenience. The station were not designed to have added obstacles. 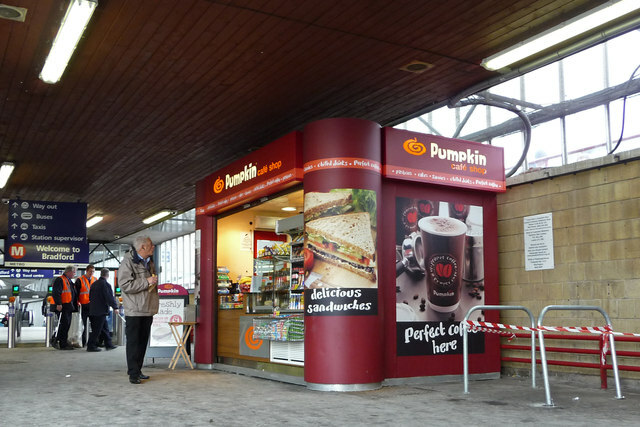 While in general I feel the term “nanny state” is just code for “laws I don’t agree with”, Josh Young does make some good points: It would not be as difficult as some claim to add some kiosk-type retailers to Metro stations. But let’s not forget that retail opportunities need not be focused on food and drink. The occasional newsstand would be welcome by many, and would require little if any power and no water hookup to operate. Based on the popularity of newsstands in DTLA (both the nice metal ones and the sketchy-looking wooden lean-tos), I suspect a newsstand on each Metro mezzanine would do decent business. And, at the higher-volume stations, Metro could even offer a kiosk that sells its Metro-branded products and provides light-level customer service. My point is, there’s some room for flexibility here. Well, there can’t be a country on the planet except, perhaps for North Korea, where citizens don’t perceive some aspect of their life as being dictated by what they call a nanny state. How do you balance the freedom of someone to eat a curry on a packed commuter train with that of someone who could like to travel without that happening around them? You can’t legislate for civil and considerate behavior. And the arguments around fair fares are well rehearsed on this site! Once again, somebody everywhere feels they are being unfairly treated. In London, where I live, you don’t have to pay again to connect to another Underground Rail Line, but you do have to pay a new fare if you change bus lines. Is that fair? You pay nothing at all on bus or rail if you are over 60 and a London resident, or on buses if you are elderly and resident anywhere in England (but not Scotland, Northern Ireland or Wales). Under 18s get free travel on buses and reduced rates on rail. Is that fair on poorly paid working people? In general (I can think of exceptions – like Bangkok) the continents you have mentioned have opted for a flat fare system for urban buses, because tapping out as well as in has been seen as impractical. In Hong Kong, where some bus lines (such as those which cross the harbor) have some distance based fares, the fare is calculated from the boarding point, with the result that it is more expensive in one direction than the other. Is that fair? Longer distance Japanese buses do have a myriad of fares, but they also have change machines which enable you (by using them several times to change to lower denomination coins each time) to pay any due fare in exact change. That takes time and can’t work on very busy urban routes. Most rail systems, however, have opted for distance based fares, often using zones (is that fair, if you happen to cross two boundaries in one journey of three miles but none at all in another?) but sometimes by exact mileage. This is because if you have gates you open by tapping a fare card, you can easily program them to tap out as well as in. This is the case in London. But is it fair that the bus fare from where I live to Waterloo – about two miles – is $2.40 on the bus(the flat fare using the equivalent to a Tap Card), but the rail fare for the same journey is $3.60 off-peak and $4.60 peak? Is it fair that MTR rail in Hong Kong is two or three times more expensive for a journey along its core Hong Kong island than the same one by bus or streetcar? Would it be fair (when the Expo Line gets there) to pay a $1.75 bus fare from Downtown LA to Santa Monica on the 720, but, say, $3 by rail? These London fares only work with a card by the way: if you pay in cash, the minimum distance-based fare is $6.50 and the bus fare is $3.75. But, if you use, a card, there is a maximum daily fare cap of between $11.60 and about $19.25. These are big fares (as are some Metrolink ones in LA)! Distanced based fares don’t mean lower prices for short hops, but much higher ones for trips of a few miles. Like you, I travel the world a lot and see advantages and disadvantages in public transit wherever I go. There are many things to improve in public transit in LA as there are everywhere, but really, Angelinos, you have some of the lowest fares anywhere and a system which is both better than you often seem to think and improving all the time as rail expands. Yes, I think all of the points you mentioned are fair. Want to know why? Because mass transit should NEVER be a form of welfare. You want to go somewhere, people must pay. At least Metro is finally starting to do this by going after fare evasion in which for years they’ve denied was a problem. So stupid it took them over two decades to figure out something that everyone knew was happening. If they want to go farther than others, they must pay. We already do this with every form of transit out there. Amtrak costs more to go from LAUS to Chicago than LAUS to San Diego. Metrolink costs more to go from Palmdale to LAUS than Glendale to LAUS. Taxi cabs operate on a distance based fare model – why do you think they have fare meters that go up the farther you travel? Airplanes operate on a distance based model, it costs more to go from LAX-SFO than LAX-LHR. I’m sure if you travel alot, you can speak in three letter IATA airport codes. Cars operate on a distance based model. You put gas (money) into the tank, gas (money) disappears farther you drive, you fill up gas (money) into it again. On a 30 MPG car, if you go 1 mile it uses up 1/30th of a gallon of gas (at $5.00 gas, that’s still 16 cents for a mile of trip). If you go 30 miles, it uses up 1 gallon of gas (so to go 30 miles, it costs $5 in gas). And this is the model that makes oil companies billions of dollars each year. And no, don’t give me BS excuses like oh you forgot insurance or cost of repairs. We’re talking about load and reload, and the business model on how oil companies make money. You want to know the main reason why car drivers don’t go Metro? Why should they? Even at $5.00 a gallon, it only costs them $0.16 per mile in gas. How can Metro compete with that rate when they want $2.50 without regard to each individual travel distance? And again, no, don’t give me BS about parking fees and what not. Last time I checked, parking fees at Ralphs is free, so if it’s between taking Metro to go shopping for groceries at Ralphs 1 mile away from my apartment versus the car, I’ll take the car. I’m not paying $2.50 for a mile to Ralphs. The car is still cheaper at that distance. OK, so what if gas prices continue to rise? I can buy a moped, one that gets me 100 MPG. Even at gas prices of $10.00 a gallon, going a mile on a 100 MPG moped will be $0.10 a mile, going 100 miles will be $10. Metro still won’t be able to compete under a flat rate fare structure. Then why should Metro operate under an insane fare structure where one going from USC to 7th/Metro pays the exact same price as going from Long Beach to 7th/Metro? Oh and don’t tell me because it’s all within “local areas.” Metro Rail is expanding out to neighboring counties like San Bernardino and Orange County. LA County is huge, way bigger than San Francisco and New York. If they want to get their faster than another way, they must pay. Rail is faster than the bus. There are no traffic jams on rail. Surface streets are clogged because buses have to share the road with all the cars, trucks, vans, SUVs, and motorcycles out there. You want to go from Santa Monica to DTLA faster? The Expo Line is faster than the bus. Therefore, Expo Line from Santa Monica to DTLA should be more expensive than taking the bus from Santa Monica to DTLA. So yes, I am a proponent of charging different fares for buses and rail. We already do that here in the USA: Washington DC Metro uses a distance based system on rail and flat rate system on buses. We already have a different distance based fare rate system right here in Southern California: Using Amtrak or Metrolink is more expensive than using Metro. Using Metrolink to go from Chatsworth to DTLA is more expensive than taking Metro from Chatsworth to DTLA. As for the zonal based plan, I am for it as well it eventually leads the path of full distance based fares. I’ve ridden on zonal method transit systems like London and Vancouver. As you stated, it is unfair because the rider must pay to cross across zones when they might be close to each other. But at least it’s more fair than pay the same rate whether you go 5 miles or 20 miles. In that light, yes I support the idea of zone. Ideally, it should be strictly calculated by the mile (or in kilometers in the rest of the world who has the brains to use the metric system), but it is an option to take to get there. Different fares for buses and rail? Sure go right ahead. Buses are slow, rail is not. You want faster service, pay for it. You already have different fare structures being used on Metro, Metro Express, Flyaway, and the Silver Line BRT. Fares are already different between Santa Monica Big Blue Bus and Metro. Go right ahead. Make Metro Rail a different fare structure. Couldn’t care less if it did and would support it 100%. Different fares for travel distance? Pay more for going 20 miles than 5 miles? Sure go right ahead. Everything else operates that way. Want to do off-peak and on-peak fares? Sure go right ahead. That’s how the ExpressLanes are charged. That’s how gas and electricity is charged. Different rates for higher peak summer time versus winter time. All of this is possible with smart cards today. Do it. I’d fully support it. Anyone who says no, tough luck – mass transit isn’t a welfare system.